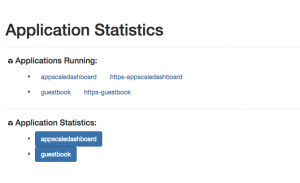 You have two options to interact with an AppScale deployment in order to manage and control your App Engine application: AppScale Tools (CLI) and AppScale dashboard (GUI). Check how to setup correctly the tools, or to access the dashboard. Create a tarball of your application (if it’s a Java application, make sure it is compiled) then.